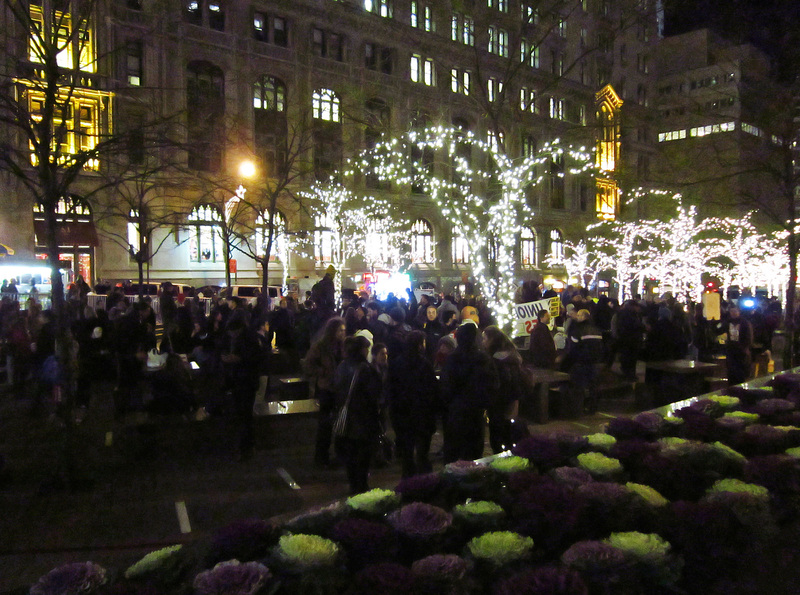 Here are a few images from Zuccotti Park from the last few days. 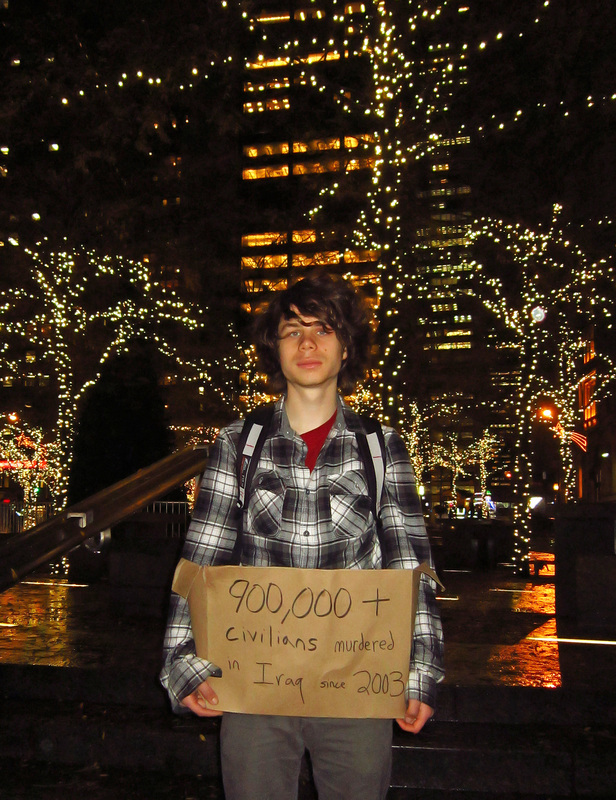 This anti-war protester held down the fort (in the rain, no less) while the rest of the OWS group attended a meeting. Park activity is still very much alive. 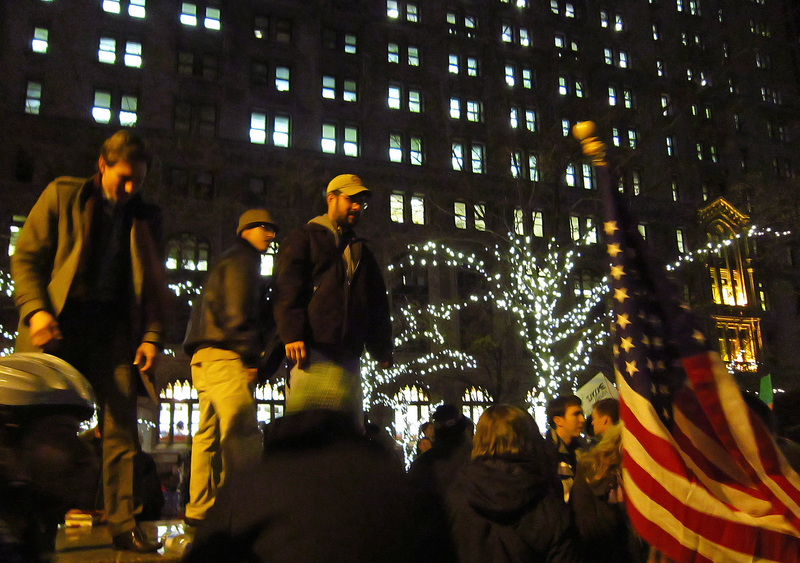 This was after a labor union march from Union Square. 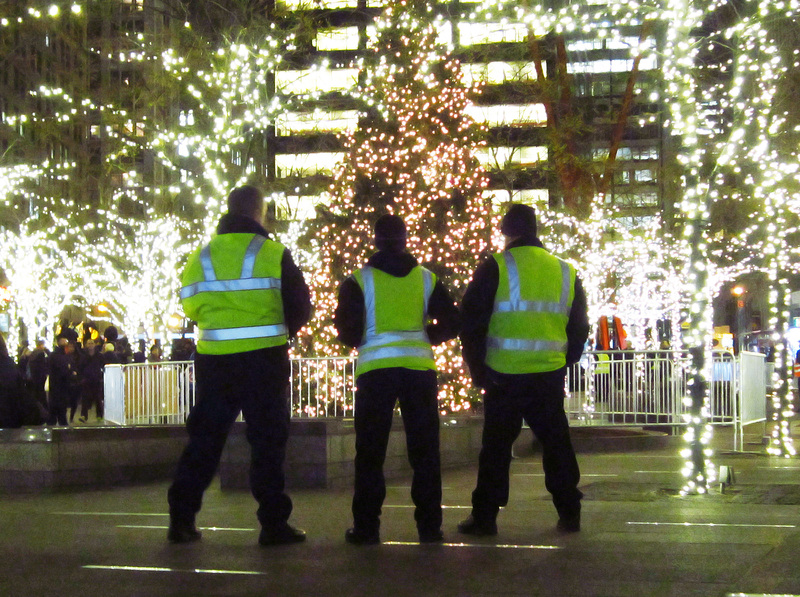 The Christmas tree could really use more barricades and cops...what do you think? People helped each other over the barricades, but there was no molesting of the tree! The mood this night was very positive. 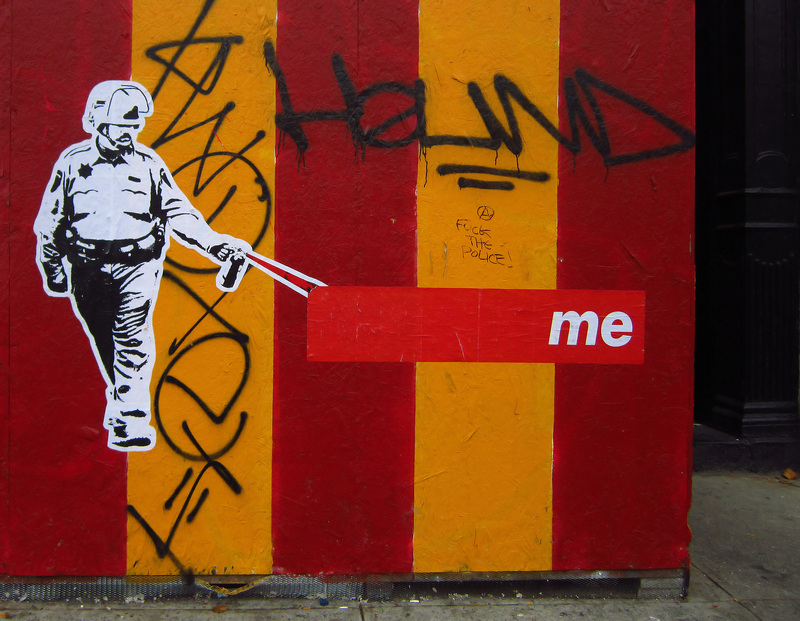 Even the police seemed to be in good spirits. Nice. 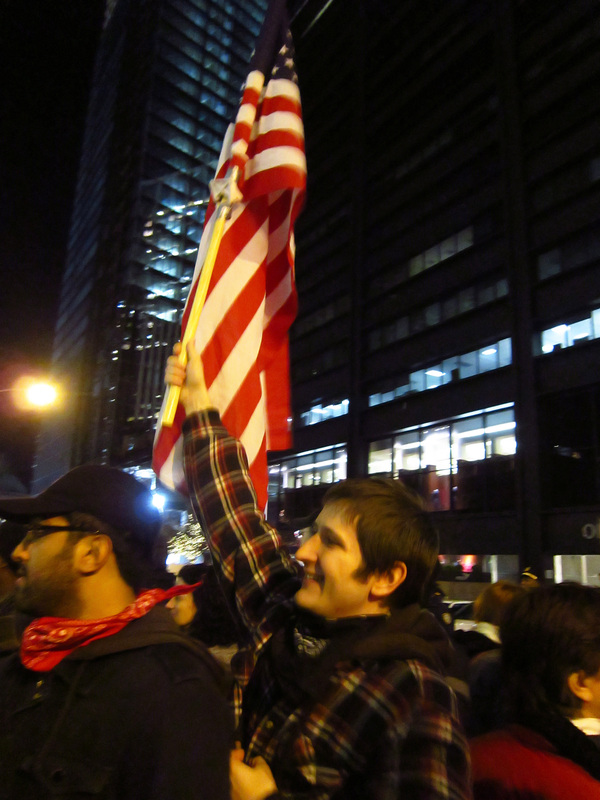 I haven't been down since Black Friday, when a hundred or so protesters marched around the park, chanting the familiar slogans. I figured they'd pretty much packed up for the winter or were maybe regrouping, so nice to see there's still activity going on. I'll have to go down when I get over this flu bug.